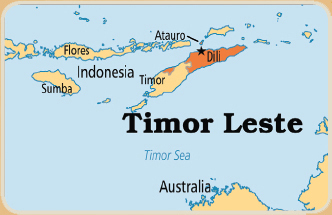 When an Australian visitor to Dili asked me how big Timor-Leste is, it got me thinking. Armed with my BA in Geography from 1975, I decided to investigate. I knew the country was small but we were both surprised to discover that Timor’s 14,874 sq km could easily fit four times into Tasmania, a state so tiny that mainland Australians often forget it’s down there. In Kiwi terms, Timor is slightly bigger than Hawkes Bay province (14,111 sq km) but less than half the size of Otago.